As the football season kicks into gear, sports fans may seek to put the scandals of summer behind them. 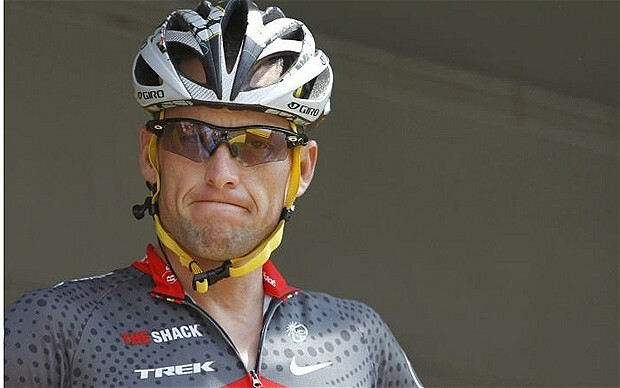 Headlines screamed about Lance Armstrong being ‘stripped’ of his medals. Alleged Olympics cheaters got as much attention as the winners. Given the immense pressure our competition-crazed culture puts on athletes, is it any wonder that they often ‘crack’ in big and small ways? To me, the most enduring image of the Olympics is heartbroken ‘favorite’ for the womens’ gym team Jordyn Wieber sobbing uncontrollably as she lost her chance to go for the Gold. Her teenage teamate, of course, vaulted within minutes from being an unknown to being a single-word household name: ‘Gabby.’ I hope both young girls can handle the fallout from the rollercoaster ride we’ve put them on. As author of both an opera and rock opera about the Tonya Harding/Nancy Kerrigan fiasco, I am attune to the poignancy of the aptly named ‘agony of defeat’ in our winning-crazed culture. While I wrote the libretti for both shows, I found myself wondering why incidents like the fabled Kerrigan knee attack don’t happen more often in the super-high-pressure world of big-time sports. 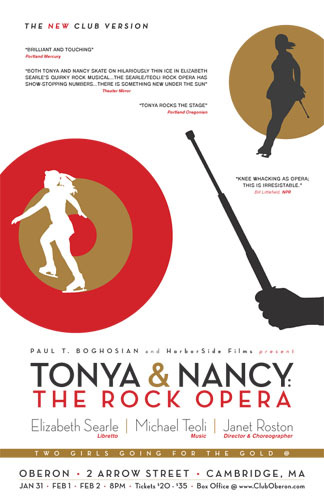 We have a song in Tonya & Nancy: the Rock Opera– Three and a Half Minutes– about the insane pressure placed on young athletes to perform perfectly in the Olympic Minutes that they (and we, the audience) are told will determine the rest of their lives. No wonder even supremely talented athletes are tempted by performance-enhancing drugs. What a sad spectacle to read about Lance Armstrong, hero to millions for overcoming cancer, being ‘stripped’ of his titles and barred from newer races. Worse, what a terrible tragedy the sickening Sandusky scandal reveals, demonstrating how warped college sports programs can become in a corporate culture of winning at all cost. And what about the disturbing and undercovered evidence that highschool and college football players often suffer from serious brain damage? While criticism and scorn is justifiably heaped upon athletes who cheat, there seems to me to be little examination of the Anything to Win sports culture that spawns such scandals. Let the Blame Games begin.